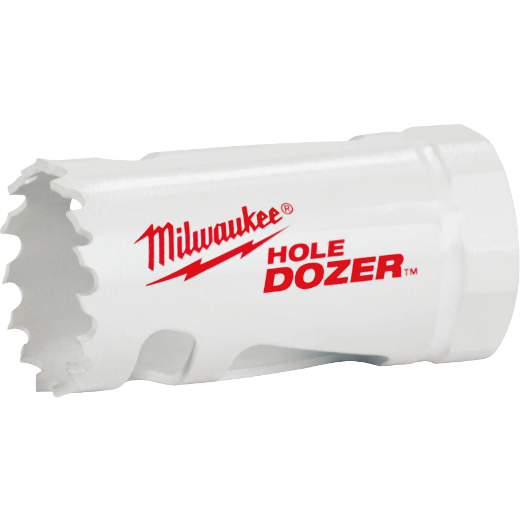 Made in the USA, the Milwaukee Hole Dozer Hole Saw features Rip Guard, the strongest tooth form in the industry, backed by the Rip Guard Limited Lifetime Tooth Break Warranty. Each tooth is built with more steel behind the cutting edge for added strength. The Rip Guard warranty on tooth breaks is a first for the hole saw industry. The added tooth strength along with 8% cobalt give added life to the teeth, allowing for increased productivity on the jobsite, as well as continued hole quality. The Hole Dozer includes Plug Jack, an all access slot design that allows for full access during plug removal. The Plug Jack gives access lower into the cup for thick material and higher towards the teeth for thin material. With multiple positions to apply leverage and better plug access, Plug Jack increases productivity and eliminates wasted downtime between holes. 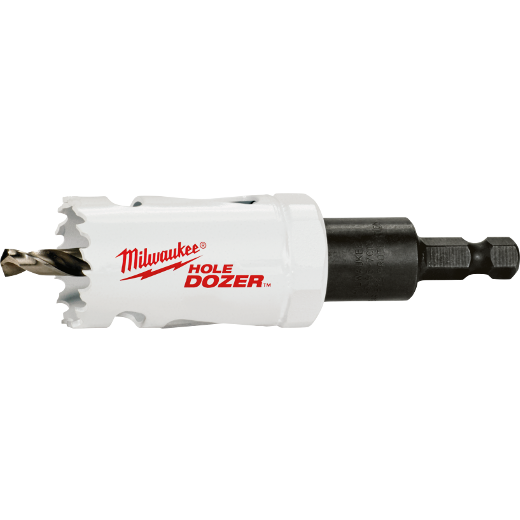 For fast, tool-free change-outs, use Milwaukee's universal Quick-Change Arbors.